You might be looking for PMI ACP exam questions. You may want to know about the best simulator for PMI ACP sample practice tests. In this article, you will find the review and comparison of the top online simulators and practice exams. Sample mock tests are an important ingredients for success in any credential exam. They validate your preparation and help you to crack the exam. You should buy good question banks that are popular and proven. 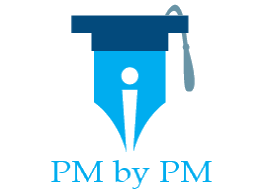 By the end of this article you would know the best PMI ACP exam simulator that can help you to crack the exam in your first try. Which Technology Aids Are Available? Dashboard? Yes. Very good. Yes. Very good. Yes. Good. Yes. Limited. Current Test Reports? Yes. Extensive reports. Yes. Extensive reports. Yes. Limited. Yes. Limited. Cornelius’s simulator is also sold as a bundle with online prep course, which provides a great bargain. RMC exams are available for a period of 6 months or 12 months. I have chosen 6 months option for pricing comparison. The price for 12 months access is considerably higher. Velociteach’s exams are available for a period of 1 week, 1 month or 3 months. I have chosen 1 month option for pricing comparison. The price for 3 months access is considerably higher. All the products are sold by renowned, well established and credible organizations. They offer good quality questions & reasonable explanations. My ratings are based on the solution features. I have not considered the cost and refund policy while finalizing the ratings. I have not considered the price as everyone’s priority and budget is different. However, you can take it into account while finalizing the product. Technology Aids – I would have given a 5 star rating if the providers were giving a mobile app. All solutions offer browser based simulators. Hence, I have given a 4 star rating to each one of them. Key Features – I have given the rating based on the number of questions and other associated features offered by the solution. Reporting Features – I have given the rating based on the quantum, type, and utility of reports offered by the solution. Student Support – I have given the rating based on the type and quality of the support given by the provider. Other Attributes Of Simulator – I have given the rating based on the extra study aids given by the provider besides the main solution. You will need to practice a lot of sample questions to pass the exam. A good simulator is a must for the exam prep as it will validate your knowledge and boost your confidence. A sub-par product can substantially reduce your chances of cracking the certification test. Hence, you should invest in a good product. All the products compared and reviewed in this article are from well-reputed organizations. However, you would have noticed that there is a substantial difference among their offerings. RMC and Velociteach are well-renowned companies in the project management training industry. However, their products have not fared well in our comparison. Overall, the rating of their products is lower than the competition. Moreover, their solutions have much higher price than the others. I would not recommend you to buy any of these. Let us look at the final rankings. Although the recommended products have different ratings, they are worth the investment. You can buy any one of them based on your unique preferences. Christopher Scordo is the founder of PMTraining. He has a very good reputation in the Project Management training industry. He is the author of PMP Exam Prep: Questions Answers & Explanations by Christopher Scordo. It is an Amazon best seller. Scordo’s PMP tests used to be the de facto standard for the exam takers till January 2016. PMI used to give them free to its members. Unfortunately, this facility is no longer available. 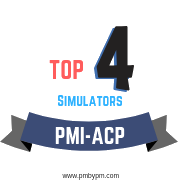 PMTraining’s PMI ACP simulator are as good as its PMP offering. You can buy it without any second thoughts. Cornelius Fichtner is a leading expert on project management. PM Prepcast is a renowned brand in the certification industry. Every year thousands of aspirants successfully pass PMI exams by using Prepcast’s study resources. Fichtner’s company offers a large portfolio of exam prep products. Fichtner’s simulator has almost same rating as our first choice. It offers extra study material for the exam preparation (bonus email course & weekly newsletter ). The questions are sources from leading PMI ACP experts. Its reporting features are the best among its competitors. It is priced higher than the first choice and lacks exam generator. It does not have as many questions as my previous recommendation. But in my experience, 4 full length tests are enough to pass the exam. How Did I Find The Best PMI ACP Practice Test Simulator? There are number of exam simulators that offer practice tests. What are the key features that make a practice test simulator stand out? How did I decide which one is the best to crack the certification exam? Key Features – The look and feel of practice tests should be similar to the Prometric exam software. It should have a few full length 120 questions tests and section level test. By doing a full length tests, you will get to know your concentration level, sitting capacity, speed, and accuracy over 4 long hours. It should provide answers and good explanations for the correct as well as incorrect answers. Many simulators provide inadequate explanations or just answers. This is not enough; the real learning comes by understanding the explanations.